Renewed calls have been issued by British Indian community leaders asking people to be extra vigilant against lone wolf attacks. CHANDIGARH: There is concern among members of the Indian community in United Kingdom over the Westminster bridge terror attack in London. Renewed calls have been issued by community leaders asking people to be extra vigilant against lone wolf attacks. An advisory has been issued by the Sikh Council of UK to the members of the community after the terror attack in London on Wednesday in which a terrorist killed three members of the public and wounded at least 40 other civilians as his Hyundai 4x4 vehicle careered into pedestrians in the heart of the capital outside Parliament. "The Sikhs have borne the brunt of knee-jerk reprisals in the past as hate crimes usually and as such Gurdwaras have often been a target. So local Sikh communities are on alert to protect themselves against any such unfounded responses,’’ said a community leader. 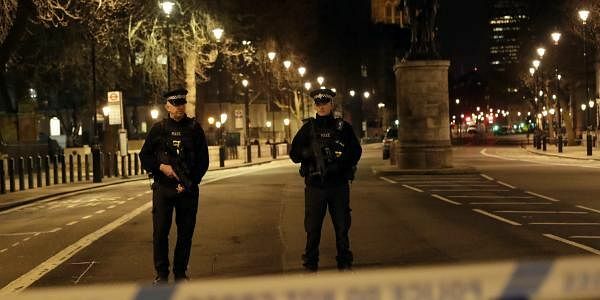 "There is fear in the minds of the people that after such incidents hate crime increases and this has been happening in the past, mainly in smaller towns thus people are a little tense,’’ says Harpreet Singh a London-based entrepreneur. The advisory issued by the Sikh Council of United Kingdom to the members of the community living in Britain stated that the council appeals to all the members for vigilance and to avoid travelling to Westminster area if possible. It further reads that anybody at the scene of the incident or with any information is requested to contact the authorities. “We are saddened by the rise of such incidents around the world and have urged Sikhs to be calm and extra vigilant. It cannot be a coincidence that the attack was carried out on the first anniversary of the terror attacks in Brussels. Everyone needs to be much more security conscious,” said Bhai Amrik Singh, the chair of the Sikh Federation (UK) while talking to New Indian Express. “The location of this callous terrorist attack in Westminster was no accident and in our view a horrific attack on the Parliament represents one on democracy, freedom and the rule of law. We join other peace loving people to condemn this attack and must all be united against violence and terrorism,” he said.